Your First Choice for confidential services and quality abortion care in Jacksonville, Florida and surrounding areas. Here, we put you first! It is our honor to respect your reproductive choices and your right to control your own fertility. Financial Help - Our Funding Assistance experts are available to talk with you about your options and to complete applications or screenings during your appointment call. No outside calls to make! 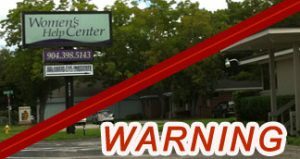 There is a Crisis Pregnancy Center right down the street from our clinic. The name is very similar to ours - DO NOT GO THERE. They are against abortion and will try to talk you out of having an abortion.